JACKSONVILLE, Fla. - The injuries two boys suffered in a Thursday evening shooting in the Mixon Town neighborhood may have been collateral damage, according to the Jacksonville Sheriff's Office. The boys, ages 11 and 13, were walking along Lewis Street near Goodwin Street about 5:45 p.m. when gunshots rang out and both children were struck, the Sheriff's Office said. The pair was taken to UF Health Jacksonville, where the 11-year-old was treated for a gunshot wound to the leg and the older boy received treatment for shrapnel wounds to his legs. "We do not believe the two children were the intended targets of this shooting," Sheriff's Office spokesperson Melissa Bujeda wrote in a news release. 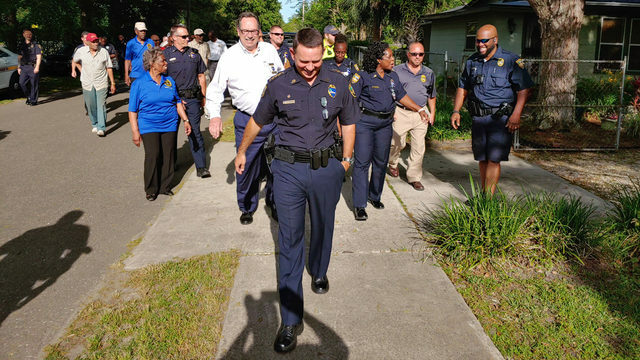 Following a neighborhood canvas, investigators have learned that there were multiple groups of people hanging out in the area when the shooting unfolded, Bujeda said. All fled before police arrived. 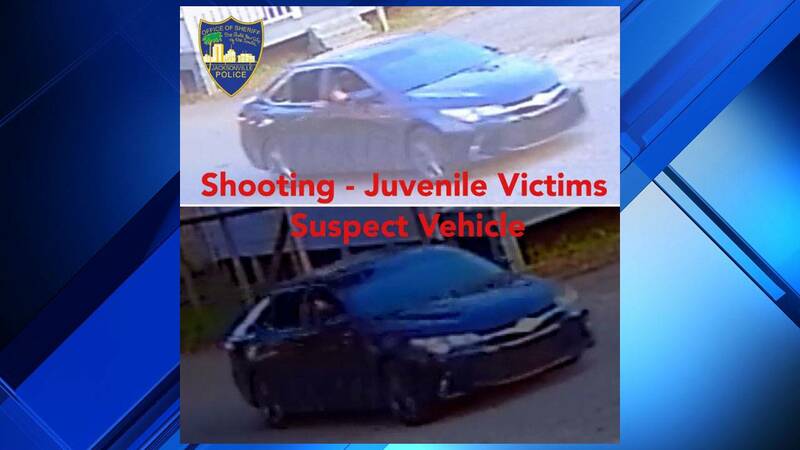 Investigators later released surveillance photos of a black late-model Toyota Camry that they suspect was involved in the case. They're still asking people to review surveillance video in search of clues that could lead them to the shooter. "I saw the car and an arm stick out and then I saw sparks from the gun firing off," recounted a witness who did not wish to be identified. "We can't even feel safe anymore because we've had outsiders come out here and try to take our neighborhood away from us. I am very furious." The older boy's grandmother, who spoke with News4Jax on the condition of anonymity, had strong words for those steeped in violent crime following Thursday's shooting. She said enough is enough. "Stop," she said. " ... Whatever it is, try to talk about it before y'all even think about doing this because it could have been a life gone." The woman's grandson, meanwhile, said he didn't recognize the shooters because they wore black masks. "They pulled up and started shooting," he recalled. "...I started running toward my cousin, my friend." According to News4Jax records, there were two homicides in the Mixon Town area last year. Jacksonville police said Thursday night's shooting was the first this year to involve a child. Anyone with information about this case is asked to call the Sheriff's Office at 904-630-0500. To remain anonymous, contact Crime Stoppers at 1-866-845-TIPS (8477).